With baseball’s trade deadline approaching, we examine Alex Anthopoulos’s trade record as GM of the Toronto Blue Jays. Since being promoted to General Manager of the Toronto Blue Jays on October 3, 2009, Alex Anthopoulos has quickly made a name for himself in baseball. Nicknamed the “Silent Assassin” by his many fans, Anthopoulos has garnered a reputation for being a tireless worker and his ability to lube the deals– both with agents and other GMs. The fact that he was able to do what many fans thought impossible – move Vernon Wells and the remaining $86 million on his contract – has made him the subject of much admiration and somewhat of a teflon hero among long-suffering Jays fans. However, not all of Anthopoulos’s trades have been winners. In this post I will look back on AA’s trade record and attempt to determine whether each deal helped or hindered the organization. John Farrell for Mike Aviles, Mike Aviles and Yan Gomes for Esmil Rogers The fact that Anthopoulos was able to extract any value for a lame-duck and useless manager was a feat in itself. In return for John Farrell, the Blue Jays acquired replacement-level shortstop Mike Aviles. He was promptly sent to the Cleveland Indians along with catcher Yan Gomes for relief pitcher Esmil Rogers. In dire need for quality innings from a decimated starting rotation, the Blue Jays transitioned Rogers from a relief role into a starting role and he has performed admirably. The only way this trade can’t be considered a clear win from the Blue Jays perspective is the question of whether the Jays would be better off with Yan Gomes as the starting catcher over J.P. Arencibia. But that’s another debate for another day…..
Henderson Alvarez, Justin Nicolino, Yunel Escobar, Adeiny Hechavarria, Jeff Mathis, Jake Marisnick for Emilio Bonifacio, Jose Reyes, Josh Johnson, Mark Buehrle and John Buck This trade was a downright fleecing of the Florida Marlins, so much so that there was considerable worry among Blue Jays faithful that Commissioner Selig would put the kibosh on this trade because it was so one-sided. Middling prospects Henderson Alvarez, Justin Nicolino and Adeiny Hechavarria were paired with Jeff Mathis and the bad juju of Yunel Escobar. The Jays had to throw in super-athlete Jake Marisnick into the mix to give this trade the appearance of respectability. 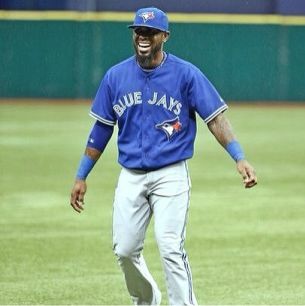 In return, the Blue Jays acquired superstar shortstop Jose Reyes, as well as the electric arm of Josh Johnson, the guaranteed 200 innings of Mark Buehrle and the speed and versatility of Emilio Bonifacio. This is the defining trade of Alex Anthopoulos’s career thus far. Brandon League for Brandon Morrow Brandon League has pitched adequately for the two teams he has played for since leaving Toronto (the Mariners and Dodgers). He’s pitched ~240 innings while posting a WAR of 0.5. Brandon Morrow, on the other hand, has pitched slightly more than 500 innings while posting a WAR of 5.6. The only knock on Morrow is his consistency and durability. Regardless, I’ll take the 500+ innings from Morrow. Vernon Wells for Mike Napoli and Juan Rivera The contract that was generally accepted to be unmovable was moved. Vernon Wells and the $86 million remaining on his contract was moved to the Angels in return for “catcher” Mike Napoli and warm body Juan Rivera. This is where the legend of the “Silent Assassin” was born. Juan Rivera for basically nothing Juan Rivera was one of the worst ballplayers I have seen wear a Blue Jays uniform, and I have seen some bad ones (Edgardo Alfonzo, Brian Simmons, Joe Lawrence, Tilson Brito). That Alex Anthopoulos was able to find a team that actually wanted Rivera (the Dodgers), let alone pay ca$h for him, was a feat in itself. Zach Stewart and Jason Frasor for Edwin Jackson and Mark Teahen; Edwin Jackson, Marc Rzepczynski, Octavio Dotel and Corey Patterson for Colby Rasmus, PJ Walters and Brian Tallet This trade, broken down, is basically half a season of Edwin Jackson and a bunch of garbage for Colby Rasmus, four years of control, and a pile of rubbish. In Jackson’s half-season for St. Louis, he posted a 104+ ERA and an 0.6 WAR; slightly better than a replacement level player. He also earned roughly $4 million. In two and a half seasons in Toronto, Colby has posted a 4.3 WAR while earning roughly $7 million. As well, Rasmus doesn’t reach free agency until 2015. Compared to Colby’s $7 million earned, Jackson has earned approximately $32 million over that same time-frame. Francisco Cordero, Ben Francisco, Asher Wojciechowski, Joe Musgrove and David Rollins for J.A. Happ, Brandon Lyon and David Carpenter Add Francisco Cordero to the list of the worst ballplayers to ever wear a Blue Jays uniform. While he was bad for Toronto, he was even worse for Houston; Cordero allowed 11 earned runs in 5 innings before being put out to pasture. Ben Francisco has always been and always will be a replacement-level pinch-hitter off the bench; nothing to see here. Of the three minor league players given up by the Jays in this deal, only Asher Wojciechowski has a chance of sniffing the bigs. Coming the other way, Brandon Lyon provided stability to a shaky Blue Jays bullpen in 2012. J.A. Happ has become a reliable 5th starter for the Jays and was pitching well before being hit in the head with a line drive. This is a clear win for the Blue Jays. Player-to-be-named for Carlos Villanueva Bouncing in between starting and relieving, Carlos Villanueva provided the Blue Jays with 232 innings, an ERA+ of 104 and 3.2 wins-above-replacement. A clear win when the price to be paid was nothing. Trystan Magnuson and Danny Farquhar for Rajai Davis Both Trystan Magnuson and Danny Farquhar have failed to stay in the Major Leagues for more than just a cup of coffee. Rajai has been superb in his role as a fill-in outfielder and a pinch-runner off the bench. During his three seasons with Toronto, Davis has stolen 102 bases. Eric Thames for Steve Delabar Eric Thames has done nothing worth mentioning and is currently toiling in the Baltimore Orioles’ minor league system. Steve Delabar, on the other hand, is providing lights-out, dominant relief for the Blue Jays and his weighted-ball throwing program has helped turn careers around for Brett Cecil, Dustin McGowan and has helped Casey Janssen recover from surgery. 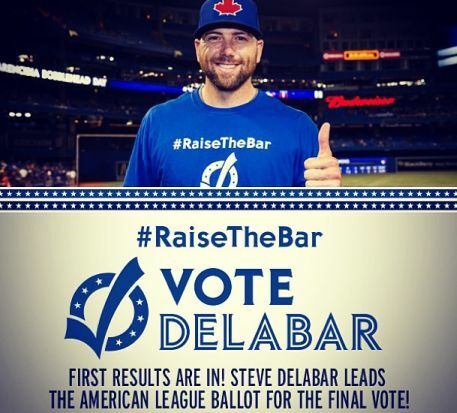 Delabar is also on the verge of becoming an All-Star for the first time. This trade was a stroke of genius by the Silent Assassin. Mike Napoli for Frank Francisco Since being traded to Texas, Napoli has posted a studly 143 OPS+ (.931), 54 HR and 7 wins above replacement. Frank Francisco was awful, continued to be awful and is either too hurt to play or doesn’t care enough to try. Aaron Hill and John McDonald for Kelly Johnson Kelly Johnson was terrible in Arizona and continued to be terrible in Toronto. Aaron Hill was terrible in Toronto and magically found his old studly ways after being traded to Arizona. Hill has posted an .889 OPS over the last two seasons and a 5,1 WAR. If a change of scenery was the only thing that could have fixed Hill, then so be it – but the Jays could really use his production at 2B this season. Nestor Molina for Sergio Santos This one is close, as Sergio Santos has only pitched 9.1 major league innings for Toronto. Nestor Molina, on the other hand, hasn’t even made it to the big leagues and has struggled mightily in the minors. Santos is signed to an ultra team-friendly 3-year/$8M deal with team options for the following three seasons. With injury issues presumably behind him, Santos’s best pitching may be ahead of him. However, that remains to be seen. Travis Snider for Brad Lincoln Brad Lincoln is currently pitching relief in AAA and Travis Snider isn’t doing much better in Pittsburgh. Snider is playing below replacement-level in limited playing time. This one is a wash.
Alex Gonzalez, Tim Collins and Tyler Pastronicky for Yunel Escobar Yunel Escobar provided stellar defense and 8.5 WAR over 2.5 seasons in Toronto. His controllability and team-friendly deal also allowed him to be traded to the Marlins to acquire Jose Reyes and the rest. Alex Gonzalez provided steady (if not stellar) defense, average offense, yet only one year of controllability. The equalizing factor in this deal is Tim Collins. The diminutive left-hander has been very effective in relief, posting a 115 ERA + and 1.8 WAR (albeit for Kansas City). Travis d’Arnaud, Noah Syndergaard, John Buck, Wiulmer Becerra for R.A. Dickey, Josh Thole and Mike Nickeas This trade hinges on the future production of Travis d’Arnaud and Noah Syndergaard. Former Cy Young award winner R.A. Dickey certainly hasn’t pitched like an ace thus far in 2013, yet he does lead the Blue Jays in innings pitched. It will be quite some time before we know who benefited most for this deal. Shaun Marcum for Brett Lawrie Brett Lawrie’s makeup issues coming to light and the fact the oft-injured third baseman has been unable to stay on the field has tempered the enthusiasm of Blue Jays fans over this deal. Marcum has pitched well, though not spectacularly for the Milwaukee Brewers. Like Lawrie, Marcum has been going through his own injury woes. It’s likely that Lawrie’s best baseball is in front of him; it’s debatable whether Marcum’s is. Roy Halladay for Kyle Drabek, Brett Wallace (who was later traded for Anthony Gose) and Travis d’Arnaud Since being traded to Philadelphia, Doc has put up other-worldly numbers. Only a recent shoulder injury has slowed down the future first-ballot hall-of-famer. The rest of the bunch in this deal? Far too soon to tell. 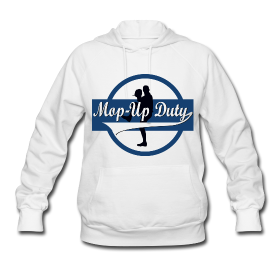 However, they will all have to turn into above-average big leaguers or one of them will have to become a bona-fide superstar for this deal to have any chance at evening out. As you can see above, there are many more hits on Alex Anthopoulos’s trade resume than misses. Being a General Manager of an MLB team is no cakewalk; the fact that AA has been so successful at such a young age is really quite remarkable. That said, Anthopoulos can not rest on his laurels. In baseball, it’s not “what have you done?” but “what have you done for me lately?” and in Anthopoulos’s case it’s not much. However, if past success is a predictor of future success, then the Blue Jays are in good hands at the trade deadline. Next article2014 Jays: Go All In or Change Course?